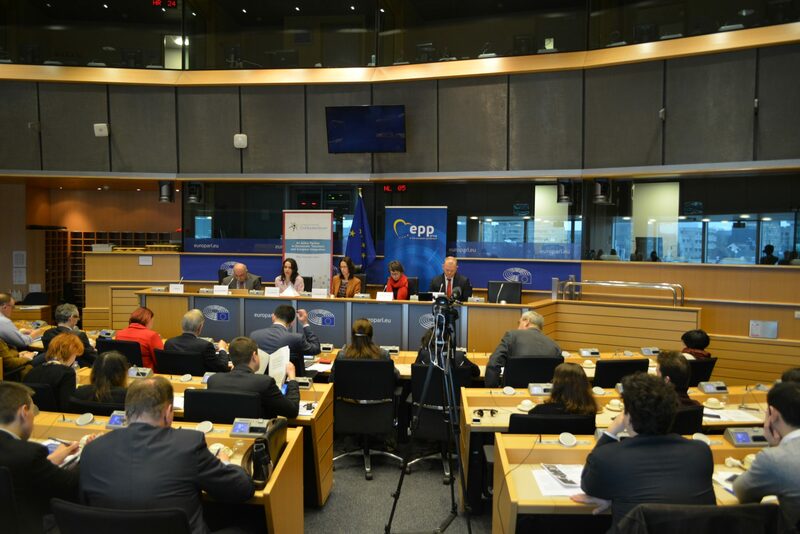 On 31 January 2017, the Eastern Partnership Civil Society Forum organized a discussion at the European Parliament “Eastern Partnership: Battleground of Russia’s Disinformation War” hosted by MEP Jaromír Štětina (EPP, CZ). The Eastern Partnership media landscape and capacity of the EU Eastern neighbours to monitor and confront propaganda were in the focus of the debate. Based on the panel discussions at this event and on the findings of the EaP CSF re-granting project “Joining Efforts and Skills to Confront Propaganda” a list of comprehensive recommendations were drafted, which provides concrete directions to promote media freedom in EaP countries as well as to counter Russian disinformation campaign.